I love sequels. There’s something appealing about seeing more than two hours worth of characters and worlds – I have more time to get to know these characters more, and there’s a lot more time for these characters to grow and progress. Which is why I’m always happy to hear talks and read news about potential sequels that are in the works, especially for films that were really good. My DVD collection is actually comprised mostly of trilogies or film franchises because of this reason. This is also why I was a little more forgiving of the less than stellar sequels to Jurassic Park (Jurassic Park 3, Jurassic World) and why I’m not really a fan of the Ghostbusters reboot (I would have preferred Ghostbusters 3, even with a different cast). All the attention that Back to the Future is getting recently reminded me of how much I wanted to see a sequel for this franchise. While everyone else is looking at how much of the Back to the Future version of 2015 got right, I’ve been thinking of what I want to see in Back to the Future IV. Sadly, there are no plans for a fourth film – both Robert Zemeckis (co-writer and director of the trilogy) and Bob Gale (co-writer and producer of the trilogy) have gone on record several times about not wanting to do further sequels or even remakes of the films. This is a sequel that I’d really want to see. While I’m all for not doing a Back to the Future remake, a part of me wants to revisit the world of Back to the Future again. I guess there’s no chance of this ever happening, but that doesn’t mean I can’t dream about it, right? What if there’s an alternate timeline where Zemeckis and Gale were open to the idea of a fourth film in the franchise? I’m not good with fan fiction and I don’t think I can ever do the Back to the Future movies any justice so I’m going to keep my hands off of any plot recommendations for my dream fourth movie, but I have a wishlist of things that I want to see. A Back to the Future film won’t be the same without these guys. As I said earlier, sequels are appealing to me because I get to see more of the characters that I’ve grown to like (and even love), so having Marty McFly and Doc Brown in the fourth film is a no-brainer. Both Michael J. Fox and Christopher Lloyd are still alive as of this writing, so I definitely want to see them reprise their roles. Of course, they may not be fit enough to film an entire movie (Fox has Parkinson’s disease and Lloyd turned 77 yesterday) so I’ll settle for them having supporting roles. One of the reasons why Bob Gale doesn’t want a Back to the Future sequel is because he doesn’t want a Back to the Future film without the Marty McFly character, but Marty doesn’t have to be the lead character in a sequel, right? I think that, as long as both characters have enough presence in the film, it’ll have that Back to the Future feel to it. Both actors reprised their roles in a recent Jimmy Kimmel comedy bit, playing on the fact that we still don’t have hoverboards or flying cars in 2015 – things that their version of 2015 had. This shows me that both actors can still fill these beloved roles, even in a limited capacity. Michael J. 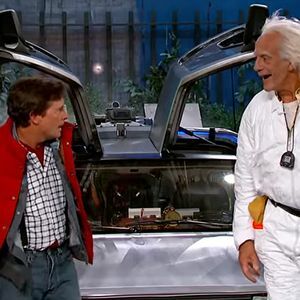 Fox and Christopher Lloyd reprising their iconic characters in a Jimmy Kimmel comedy bit. 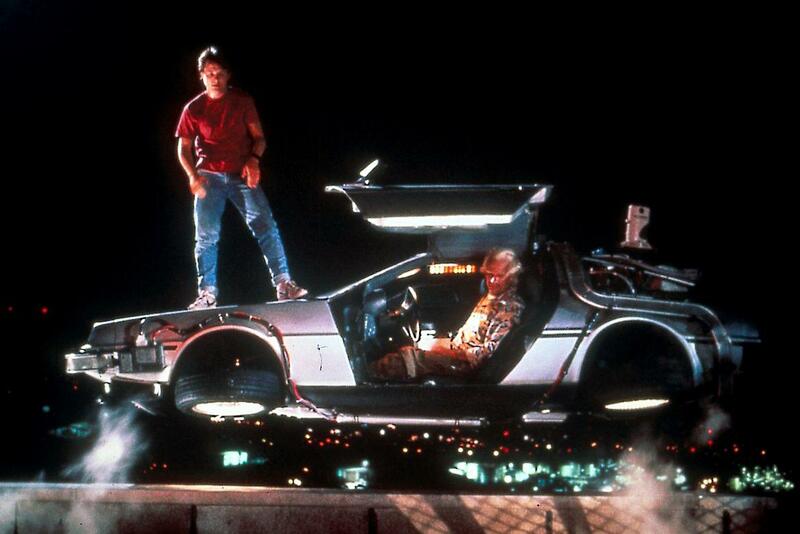 And speaking of flying cars and hoverboards, I’d like to see this in my fantasy Back to the Future IV version. Why don’t we have flying cars and hoverboards? What happened? Maybe it can be addressed as a subplot in the fourth film. What a fourth Back to the Future film can’t do without though is the iconic DeLorean. A Back to the Future film can still work with another protagonist, but I don’t think it should bear the Back to the Future brand if it doesn’t have the DeLorean in it. I probably won’t care about any other time machine, no matter how well designed it is, if it’s not the DeLorean. The DeLorean is still one of the most recognizable vehicles to come from a film to this day. As far as protagonists go, I really am open to anyone who makes sense. What’s important is that the fourth film is able to tell a compelling and logical story that sticks with the original trilogy’s themes of what the implications of being able to travel through time are. I do have suggestions though – maybe we can have Doc Brown’s sons, Jules and Verne, be the protagonists? Admittedly, it is difficult to come up with a viable plot for Back to the Future IV because it’ll require a palatable justification for how the DeLorean is still able to function after what happened at the end of Back to the Future III. I’m just thinking that if either Jules or Verne (or both of them) inherited Doc Brown’s intellect, then maybe it’s acceptable enough to explain that either of them was able to rebuild the DeLorean? Maybe these two can be the new protagonists of the franchise. 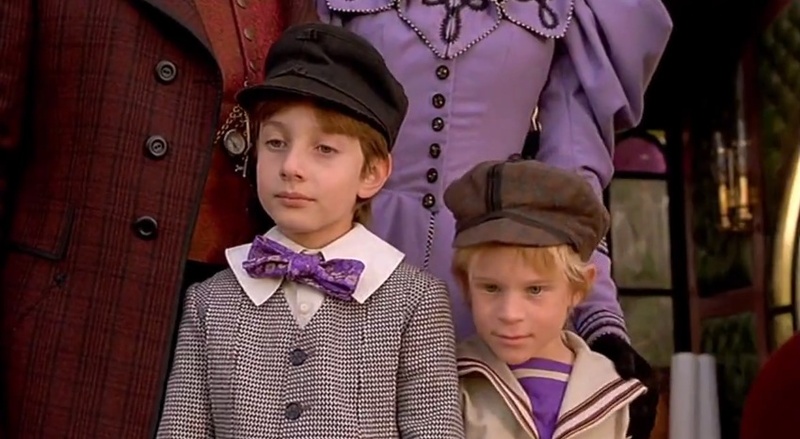 Speaking of Jules and Verne, wouldn’t it be interesting to have the plot of the fourth film revolve around an older Marty McFly, who already learned the dangers of changing past events for future benefits, deal with the younger Browns? This would change the dynamic of having a wiser Doc Brown and a young Marty from the original trilogy and would allow us to see how much Marty has grown as a character. Oh well, all of this is just wishful thinking. I guess I should be happy about that Jimmy Kimmel Back to the Future segment. Or maybe I should look for copies of Telltale Games’ Back to the Future: The Game which was generally positively received, in order to get my Back to the Future fix. But I’ll say this – if the producers change their minds and give a fourth Back to the Future film the greenlight, I’m definitely going to look forward to seeing it. 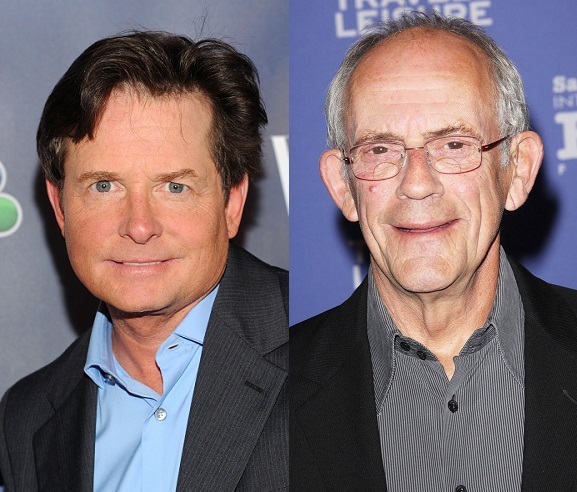 What do you think about a fourth Back to the Future film? Yay or nay? Let us know what you think by leaving a comment below!